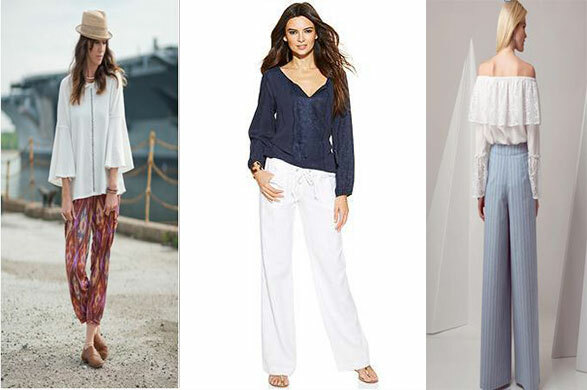 Home / bollywood / Peasant Tops: Secret to Boho-Chic Queen Look ! We all know about how bohemian is not just a trend, but has now become a lifestyle. For a few years now these boho chic blouses, usually in white with tiny sweet embroideries on them, are making front stage on catwalks, streets, festivals, and even office wear. 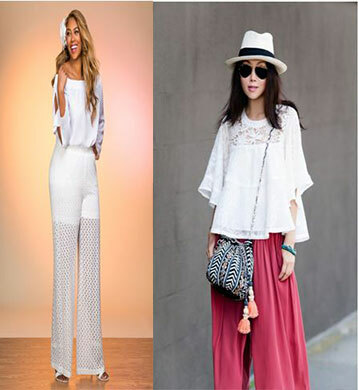 Here are a few tips on how to get the boho-chick queen look, with peasant tops on your wardrobes. Paired with Boyfriend/Skinny Jeans: Get the sleek and ready go look with the peasant tops, taking the simple look to an upper notch marking your presence with accessories to go along. Paired with Trousers/Pants: Get the elegant and classy look, which can be appropriate for wearing off to work, giving you a chance to make a mark into the professional style statement. Paired with Skirts: Heading out for a party, get the style and make yourself comfortable to stand out with a flare printed skirt, accessorized with danglers, wedges/heels to match the outfit and you’re ready to twirl in the party. Paired with Shorts: Get the chic look for the summer season, and bring out the peasant printed off-shoulder tops paired with shorts, along with cool sneakers and funky caps, to give you the cool look. Paired with Leather: Get the sassy look out on the street with the leather skirt or pants which surely makes a statement to go out into the crowd. Paired with Plazzo Pants: Make a statement and move into the comfortable with the trendy plazzos. Pairing them with dark shades work well. Pick up the few ideas listed above, to start your new trend for every outing you make, accessorized precisely making to the mark of the new fashion statements around.